Writing, by definition, is a solitary type of work. While the process may involve proofreaders, editors and, of course, clients, the actual work involves a person generating ideas from his or her own mind and putting them into words. For that reason, the blank screen, with its blinking cursor, can be an unforgiving place to someone who is stuck and feels as though a dry patch means that the flow of ideas and words has run dry forever. In some cases, the issue for writers is not a lack of things to write about; rather, it comes from hearing the dreaded “No”—again. This staple of every toddler's vocabulary is something that every writer is all too familiar with. It is a fact of life that a writer is going to be rejected far more often than accepted, and it's no wonder that there are times when you will feel like giving up this whole silly notion in favor of something steady and sensible—and much less fulfilling than using your words to educate, inspire, or entertain others. Where do you find inspiration if you feel like giving up? Here are some suggestions to help you keep going when you are having a difficult time and just want to pack it all in. If the issue is writer's block, you may be trying too hard. When you hit the wall, so to speak, you may feel a bit nervous because you can't find an angle for your article or the right approach for what you want to say. The more you try to force it, the harder it is to catch those pesky thoughts. Do the opposite instead. Go for a walk, take a bath, or do a household chore. The activity doesn't matter, as long as you focus your attention elsewhere. Taking time away for a short time can help your mind to refocus and get you on track. When you are feeling frustrated about your progress, either on the project you are currently working on or your career, reading some quotes can give you food for thought and a change in perspective. Often when we are discouraged, we feel as though we are the first or the only ones who have gone through a similar experience. Reading about a famous author who went through his or her own challenges getting published or who struggles with writer's block can help to make you feel as though you are not alone in your situation. More importantly, these writers' quote sites can help to strengthen your resolve to stick with it. There are times when it helps to talk about your frustrations with someone who truly understands what you are going through, and it's a good idea to have a network of supportive writer friends in place for times when you feel like throwing in the towel. If they have been writing for any time, they no doubt have had similar feelings. There are many online forums where you can connect with fellow writers, such as WritingForums.com. Some online groups provide help and support to writers in a particular geographic area or a certain genre of writing, and these are worth investigating as well. If you don't belong to a specific writers' group, reach out to your colleagues for support. Even if you know (intellectually) that everyone has times when they feel stuck or questions whether they should continue writing, it can be hard to shut out the voices of doubt once they start creeping in. A conversation with someone you know who can reassure you that they have been there too and moved past it can inspire you to continue on your own writing journey. There may be times when you have to continue plugging along and keep writing even when you don't feel particularly inspired. Think of world-class athletes for a moment: If they waited until they felt inspired to train for their sport, they would not be competing at that level. Instead, they would be watching other people do it and talking about how they would like to be doing the same. Making yourself write regularly, even when you don't feel like it gives you discipline and makes you a better writer. Period. Shut off your inner editor and just get something down. You can always make changes later. If your lack of inspiration is stemming from the idea that your first draft needs to be perfect, then this is a good exercise to help you let that idea go. If the reason you are feeling as though you want to give up is because you have been rejected (again) and think that no one will ever want to publish your work, you may not be looking at a large enough pool of possibilities. There will always be competition for any writing gig, but that is true of any type of work you are interested in pursuing. If one client, company, magazine, etc., has just turned you down, it doesn't mean that you have no other options available. 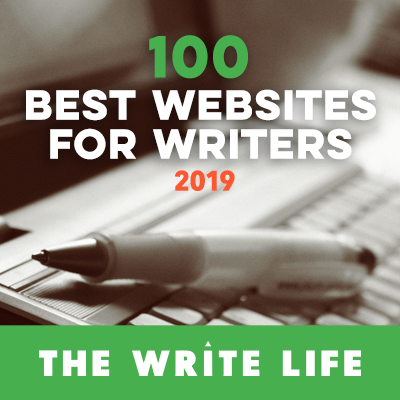 The Writers Market is a resource that has over 9,000 listings for publishers, magazines, ezines, contests, literary agents, etc., which adds up to many, many places where you could sell your writing. Instead of giving up, get re-engaged and take action to feel inspired about your writing again. The worst thing you can do when you feel discouraged is entertain those negative thoughts for one moment longer than necessary. Do something to reset your attitude and get on a more positive track. If taking a break or reading something inspirational doesn't help, then talk to someone who understands what you are going through or change your approach to marketing yourself. Don't give up; you have something to say through your writing, and you should be expressing it. Kimberly Rachels is an inspirational writer and blogging specialist. She provides informational assistance to people who wish to know how to type an essay for more than 6 years. Now she is working on her debut book about writing techniques and freelance business ideas. I also enjoy pictures, like pre-raphaelite art and just generally awesome art, looking at those inspire me – usually to new projects, but still, it gets me writing again. Nicely written piece, Kimberly, please allow me to add a perspective beyond the conceptual and expressing phases. After the writing is finished, inspiration is needed to generate interest in what you’ve written. Marketing guru, John Kremer, urges authors to do one thing every day to promote your books. The longer you promote the greater the interest in your work. I usually do at least one daily promotional effort—some days I do several emails to individuals who might be interested in purchasing my ebooks. Good golly gee, it’s inspiring seeing Amazon and B&N sales reports with slowly but steadily increasing numbers each month. Remember, in the waning months of 2012, we’re cursed with a sluggish economy, thusly slow sales are not indicative of the quality of writing—lots of folks are feeling the financial crunch which causes them to cut back on their spending. This too in time shall pass!!! Not to be crass, however some authors are inspired by visualizing harvesting the fruits from their inspired efforts to finish writing and getting their content into the marketplace of public awareness. Folks can’t buy something they don’t know about. Shameless exposure begets awareness of people interested in your content. From my first freelance assignment in the early 1960s, I’ve been writing professionally and the folding green was, and is, an ever enticing inspiration. Think about enhanced inspiration—authors love to write, so getting paid for doing something you have a passion for doing is a marvelous incentive to enhance creature comforts.